Andrew Ewart McFarlane was born on the 20th June 1954. He read law at Durham University and is apparently the only member of the current Court of Appeal able to boast of a third class degree (he claimed to be more interested in drama, student politics and the church than law). He was called to the Bar in 1977 and took Silk whilst practising at 1 King's Bench Walk chambers in 1998. He was appointed as an Assistant Recorder in 1995, as a Recorder in 1999, as a Deputy High Court Judge in 2000 and was made a Bencher in 2003. He was appointed to the High Court (Family Division) in 2005 has been a Family Division Liaison Judge for the Midlands since 2006. He was Knighted in 2005. "Obviously it is my hope that many of the Norgrove proposals will be adopted. Some involve legislation or changes elsewhere in the system, but a fair number of the more important proposals in fact turn upon there being a very significant change in culture by the family judiciary and the legal profession." 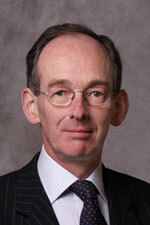 In 2011 he was appointed Lord Justice of Appeal. "[Lord] Justice McFarlane has the reputation of being a progressive judge who supported the opening up of the family courts to the media. In a speech to the Resolution annual conference in 2009, the judge said that government plans to open family courts to the press did not go far enough and were unlikely to enable journalists to report fully and accurately on family cases. He argued that reporting will be limited to covering the system rather than the substance and journalists would therefore be in no better position." He has written extensively about children law, most notably with the late David Hershman QC Hershman and McFarlane: Children Law and Practice, to which he continues to contribute. I wonder how his religious pursuits influence, say, a contested case concerning a child's religious upbringing? Hasn't Sir Paul Coleridge been subject to an investigation by the OJC over his open position on the institution of marriage? I find any link between the bench and the church disconcerting. Why would anyone boast of a third class degree? For the majority of students that would be a major disappointment. I think the word was meant in its ironic sense. There are times when I read about the Family Justice System and the parasites that lurk within it, that my sense of humour seems to desert me! Oh dear. Perhaps you need to lighten up. Anonymous is absolutely right. There is nothing to lighten up about child soul traders condemning children to a childhood of misery and abuse, and in some cases to their pre-mature graves! My sense of humour does not only desert me, I wretch! My advice to lighten up was entirely serious. The 'child soul traders' mentality will get you nowhere. If you want to criticise the system, please do so by sensible, reasoned debate. Enlightenment rather than lightening up, I think. Strange, but I didn't find the word 'parasite' anywhere in that post. I couldn't see any mention of LJ McFarlane in Karen Woodall's article either. I sometimes wonder what inspired our hairy-handed friends to desert their ancestral holes in the ground. Lousy broadband connection, I suspect. Oh dear, oh dear! How do you know he has hairy hands and lives in the holes in the ground? You must be clairvoyant or psychic? Parasites abound in the family injustice system, they just used different pseudo-names. Or are you one of them??? Ah, another one of the 'parasites in the system' theorists! It cannot be happy being called a parasite. I pity thou. My suggestion might be to declare myself otherwise, and actually do something about it, rather than giving the public so many logical reasons to call me a parasite. Reduced to name calling? Don't expect to be taken seriously. My work, for instance, consists in helping others - mothers and fathers alike - retain access to their children. Free of charge. Why? Because someone needs to stand up for what is good and just, since the lawyers most fail to do this. It is not financially motivated, or motivated by the politics of gender hatred. I pity anyone with motivations like that. I would also pity anyone 'motivated by the politics of gender hatred' (if I ever came across such a person), just as I pity people with warped views of the family justice system. OK, we have gone too far from the subject of this post. I will only allow any further comments that are relevant.